My years of communication skills training failed me. He stamped his foot. He doesn’t normally get upset by change. He is adopted. My partner died and he lost a parent. He has changed schools three times. He has changed bedrooms three times, too. He is resilient. Or so I thought. If he had been talking about a loaded weapon, he could not have been more serious. I just didn’t know what to do. So I did what many parents would do at that point. In the week, he doesn’t have screen time so this was a treat. I didn’t understand it, but at that moment, this change upset him. He didn’t like it and he wanted things back the way they were. Even though it made no sense. Perhaps it was just one too many changes in a young kid’s life or maybe he needed to eat or was tired. But it mattered at that moment, although he was fine the next day when the old one was taken away. But it made me think about how we deal with change in companies and organizations. Do we not empathize with someone because, for us, the change makes perfect sense? Do we take for granted that everyone will see the benefits of something new and shiny? Or do we assume that after the first reaction, they will be fine with everything? 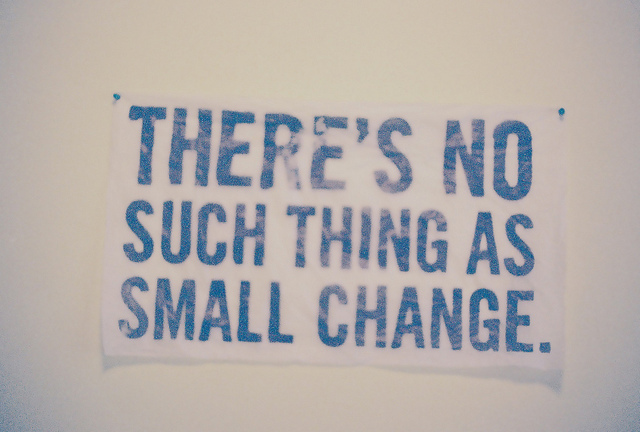 What I realized is that people can be upset about change even when it is something small and insignificant, and even though we may not be able to do anything about the change, we can recognize the discomfort. Change is tough even when it is a change that doesn’t even look like a change! And as a post script we visited the friend who had taken the old refrigerator a few weeks later. My son saw the appliance, rushed in, hugged it and greeted it like a long lost friend. The good thing was that he didn’t want to take it with us but was happy to leave it in its new home!